My name is Nastiia and I’m from Kyiv, Ukraine. 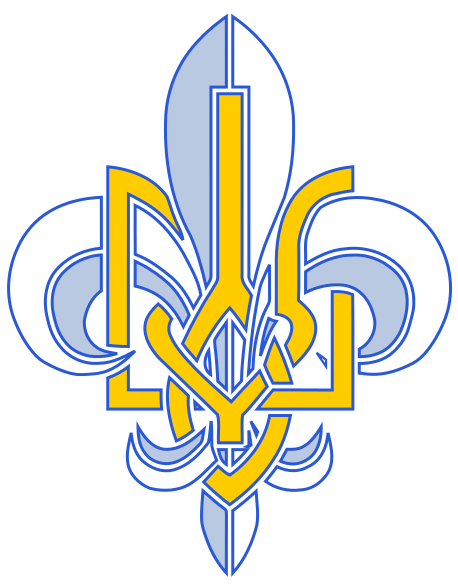 Working with 12-14 years old kids who are members of Plast – National scout organization of Ukraine is my main volunteer activity for now. Plast gives an opportunity to its members to try themselves in team work, to develop their leadership, to help vulnerable segments of the population. In this way we spread the values of civil society. I guess that my active citizen story started when I was nine. My dad asked me to help him with cooking some food for the demonstrators of The Orange Revolution. In that moment I understood my participation in process of changing of the Ukrainian society is necessary. Even if this help or participation is very small and local – it’s important. I hope to continue my self-development in art area in general as well as in graphic design. Also I’m going to create new educational projects for Ukrainian youth. But sorry, I cannot say now what they will be exactly about. I had just finished my studying in Kyiv-Mohyla academy and I need some time to find my way again. 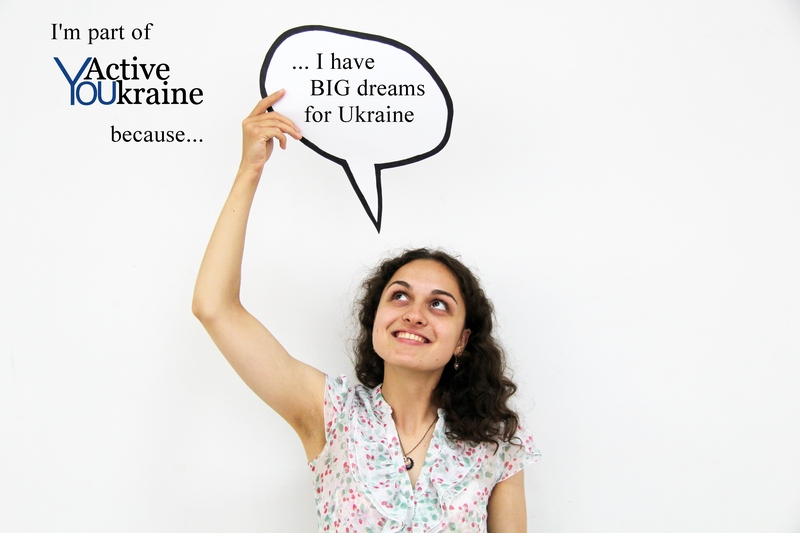 I dream about active youth in every Ukrainian city or town who have the motivation to create new useful social projects and inspire other Ukrainians to join them. And I just want to see these changes during my life, to live in renewed strong country and to grow up my children here – in beautiful Ukraine without war and corruption. I guess that my way is coaching and supporting others. And I strongly believe in people of Ukraine. So, I’m going to keep my eyes open and to help others to develop themselves if they need it.